Somehow this beach went missing … even though it was written up and the photos were edited, ah well. Here it is now. It’s funny how a project designed to get me to the beach more often has sort of fallen away. Here it is autumn already and we’ve only been to two beaches this summer and I’ve posted neither of them until now. In part the weather is to blame – as it hasn’t been inviting. And travel – not a bad thing at all, of course – but our having travelled to Korea, Japan and China this January and missing the hottest of the summer days means we also missed several weeks of beach-going opportunities. In any case, Edwards, our 23rd visit and our first of the 2012/13 season is on the Middle Harbour – specifically on Hunters Bay. It is the neighbouring beach to Balmoral, number two. The area was once famous, back in the late 19th century, for its artist camps. Adherents to the movement of painting in the outdoors, especially landscapes of a newer sort, came from the city to live in tent camps on the northern shore of Sydney Harbour while it remained near-enough but distant and still ‘wild’ territory. Robert Louis Stevenson once spent a night. … a cluster of tents, a little garden, a woodstock, a water tub – almost hidden in the trees and bushes until one was close upon it; and the camp looked out upon the great gateway of the heads, and saw all the ships that passed through, voyaging to the distant world and back again. We visited on a warm and sunny, inviting day, in late November, when the view of the heads remained but the scene was otherwise wholly transformed to one of 21st century Sydney suburbia. It was the sort of day bound to bring people out but especially in early summer and the beach was bustling. A wedding had just concluded when we arrived and guests were still milling about as photos were taken and before the party moved on to the reception. The couple were evidently locals as guests in formal attire were seen chatting with dog walkers and swimmers. 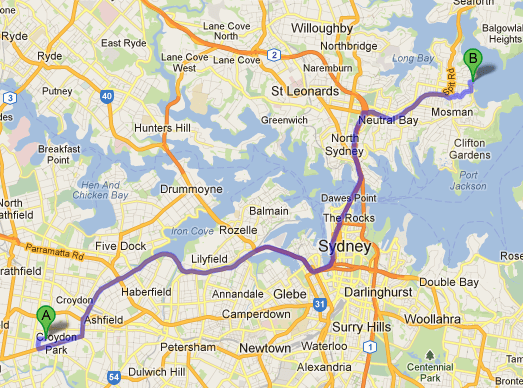 We had come by bicycle and ferry – pedalling over from the Taronga Zoo Wharf in yet another reminder of just how hilly North Sydney is. 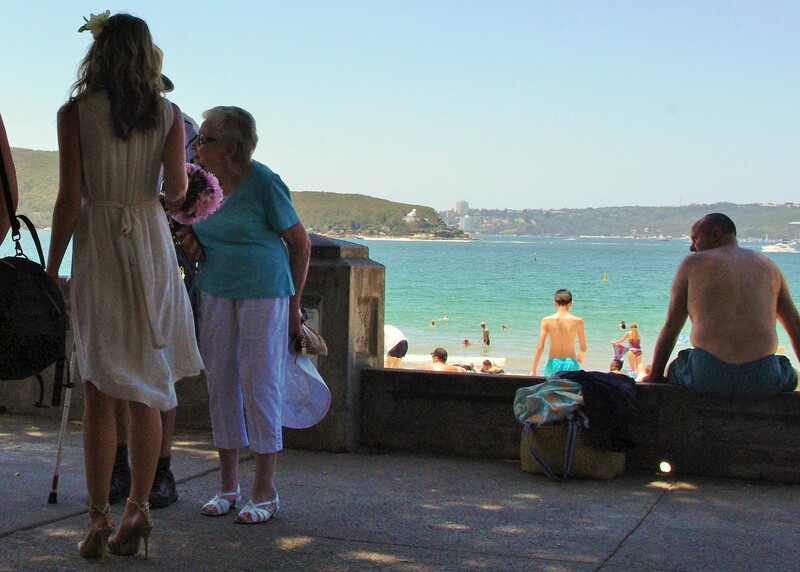 We arrived hot and sweaty; laid our towels beneath a towering Morton Bay fig near the kiosk at the Bathers’ Pavilion and took in the life and liveliness around us. These middle harbour beaches tend to be full of, one, locals and, two, people more used to the Mediterranean for whom the sea is mostly a calm beast. People who associate a day at the beach with playing ball games while standing in chest-deep water enjoy Middle Harbour beaches and they were out in numbers. When Anita, our third hand, arrived we moved to the beach itself. She and I took a dip and found the water surprisingly warm for so early in the season. On our ride back to the Wharf we stopped at the Buena Vista Hotel in Mosman for a bite to eat and a few cold ones. It was a nice way to start the season and little did I know at the time how long it would be before we got on to number 24, Eleanor.